Coaching staff has community coaching qualifications and are trained in CPR and First Aid. Rob began fencing in 1988 at Carleton University in Ottawa. 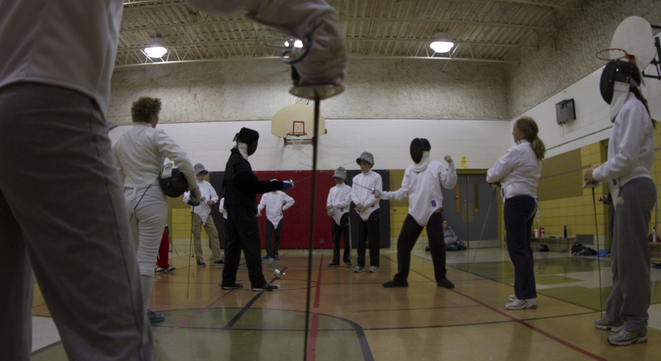 A member of the Carleton Varsity Fencing Team for 4 years, Rob also trained with the Queen’s University Varsity Fencing Team while attending MacArthur College. Rob has fenced on the Ontario Provincial and Canadian national circuit for the last 8 years in the Master’s category, and is ranked nationally in Master's Mens Sabre. When not fencing, Rob is an elementary school principal with the Hastings and Prince Edward District School Board. Paul began fencing in high school and continued as a member of the Trent University Varsity Fencing Team in the early 1980s. Paul has fenced on the Ontario Provincial and Canadian national circuit for the last 8 years in the Master’s category. Paul also coaches at the Kingston Fencing Club.